George Burns: [on winning the Oscar] After this I think I'll start taking some of those gentile roles, become the next Robert Redford. 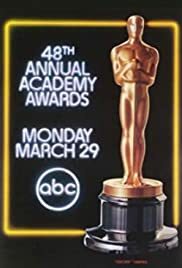 One of the quirkiest, yet funniest, Academy Awards moments of all time, occurred on the night of the ABC telecast of the 48th Academy Awards, when French actress Isabelle Adjani and American actor Elliott Gould were just about ready to announce the winner of the Oscar for the category of Best Film Editing. After Isabelle Adjani had finished saying "And the winner is...", Elliott Gould inadvertently said "Indiana, 86 to 68" (in referring to the NCAA Division I Men's Basketball National Championship Game between two teams from the Big Ten Conference, the Michigan Wolverines and the Indiana Hoosiers, played in Philadelphia earlier that same night on NBC, which had lost the Oscar rights to ABC that year). I thought that was an early April Fool's joke, because April Fool's Day was three days later.